It is important to be able to distinguish between tracks of similar species to ensure your time and foot leather are devoted to pursuing the animal you're licensed to hunt. The tracks of the two largest members of the deer family -- moose and elk -- may be initially confusing to the uninitiated, but they are easily differentiated by those who know what to look for. When you encounter a track, look around for other tracks. If you find dozens or hundreds, you're on the trail of elk, which travel in large social groups. Moose travel alone or in small family units of just a few individuals, such as a mother and calf. Moose hooves have sharply pointed toes that point inward at the tips, giving the tracks elongated heart shapes. 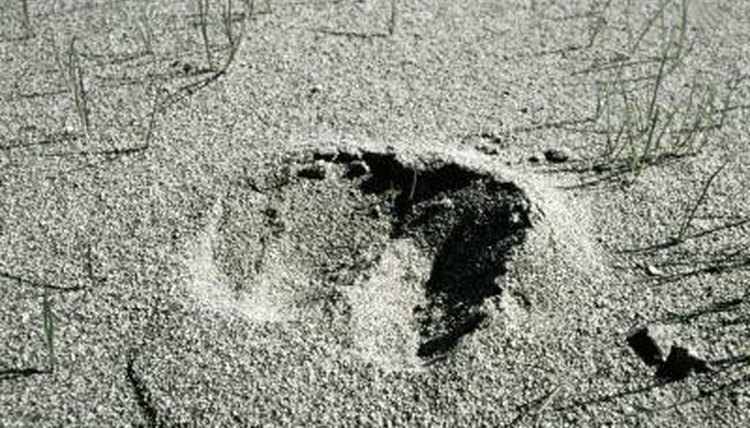 Elk hooves have rounded toes, with each segment of the hoof parallel to each other, giving the tracks shapes that are not unlike the silhouette of an molar tooth. Big Game Hunt: Do You Know Your Tracks?